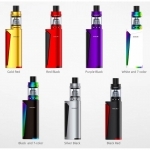 Ego / 510 DCT Tank System (6mL) Atomizer Colors : Clear Clear, Clear Yellow, Clear Purple, Cl..
Flat Wall Charger Adapter For Ego / Ego T / Ego C This Flat Wall Charger .. The new GS H2 Atomizer Bcc Bottom Coil The latest in vaping technology brings you a bottom coil..
Gs H2 Replacement Head Coil .. The RT is made for waxy oils. It features an internal chamber that holds waxy oil .. The V-Core 2.0 rebuildable atomizer and wicking is a separate layer on the clearom..
WaxVapor Essential Oil Atomizer The..
Acrylic Drip Tip High quality smooth acrylic drip tip. These will fit any 510, 901, 808..
DCT 6.0 ml Adapter Connector This ring smooths out the space between the eGo battery an.. This is replaceable Atomizers for the DCT 6ml tank, ..
Drip Tip High quality drip tip. These will fit any 510, 901, 808, Vivi Nova, Dct or sim.. 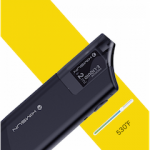 This multi-charger can simultaneously charge up to 10 ego / 510 Batteries, or, Mega Batteries at .. The most advanced tank atomizer can be directly inserted into the tank cartridge, this way..
Vhit is the newest atomizer designed specifically for wax/ thick oil users! Its main advantage is..
SmokTech Magnetic Bolt This is a Smoketech version of the Bolt made of a anodized alumi.. 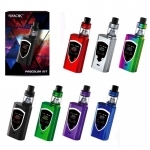 This Smok Pyrex glass Vivi Nova tank holds about 3.5 ml of e-liquid so you can vape all day w..
Ego And Ego-T Mega Atomizer The atomizer is the most important part of the personal vaporizer..
Ego e-Cigarette Cartomizers ,Disposable Atomizer A Cartomizer is cartridge and atomizer in .. The Mini Ego T Electronic Cigarette Atomizer is a working part of the cigarette, it is essential .. The Mini Ego Electronic Cigarette Atomizer is a working part of the cigarette, it is essential fo..
Ego C Completed Atomizer (Atomizer Head + Atomizer Base + Atomizer Cone) Black Or Silver ..
One Replacement EGO-C Atomizer Base $1.95 The eGo C Atomizer Base Need the eGo C ..
Ego C Atomizer Cone (Cone Only) The Ego C Electronic Cigarette Atomizer is a working pa..
CE4 PlusTankomizer 2.2 - 2.4 Ohm Clear New Price $5.95 for a single, or $26.45 for .. 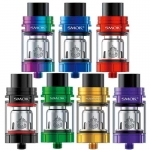 THIS PRODUCT IS DISCONTINUED CE4 XL Tankomizer 1.9 - 2.4 Ohm Smokey Black $6.95 ..
Ego-C Cartridges For EgoC System Come In Case Of 5 Cartridges For $5.00 A Case eGo-c (eGo Tan..
Atomized cartridge for Electronic Cigarette ego,ego510 One Case Contain 5 Cartridges each cartr..
Ego-T Cartridges For EgoT System Come In Case Of 5 Cartridges For $5.00 A Case eGo-T (eGo Tan.. This Ego Necklace holds your Joye eGo Ego T / Ego-C electronic cigarette and lets you keep i.. This handy leather lanyard holds your Joye eGo Ego T electronic cigarette and lets you keep it ar.. The Zipped eGo Carrying Case is the perfect companion for storing your electronic cigar..
Ego Travel Case | Ego T Case Large The Zipped eGo Carrying Case is the perfect comp..
Get yor self extra stylist Atomizer cover for EGo EGo 510 or Ego Joye its nice to cover your eg..
Ego / Ego-T / Ego-C Electronic Cigarette USB Charger The eGo Electronic Cigarette USB charge..
Ego | Ego-C |Ego-T Car Charger An essential accessory for users who travel a lot by car, mayb..
Wall Charger For Ego / Ego T / Ego C Dragging your charger to and from home and..